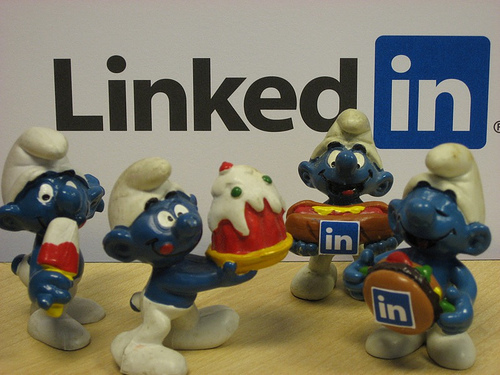 How Important is a LinkedIn Profile for a Company? Social Media continues to grow and become more important for business. This is not an assertion but a fact. Consumers continue to head for social media sites in their droves, and marketers are recognizing the importance of attracting and keeping those users. One of the most important challenges that face today’s companies is how to optimist their LinkedIn accounts. LinkedIn as an organization has grown to over 33 million members in the United States, and over 60 million world-wide in just 10 years. Recently the company announced its 60 millionth member via a Tweet. Coincidentally the individual came from the Netherlands, which is an area alongside India, where new offices have been established to manage the massive growth in their international operation. According to LinkedIn’s CEO Jeff Weiner, over half of the network’s membership is now international. The process behind the building of a business profile is relatively easy – you begin by establishing first your personal profile. Once registered as a user, you have the option of creating a business or company profile. The benefits of establishing a company profile, are largely to help create a network which supports the online exposure of that particular company. The idea behind company profiles was to assist companies in boosting their online exposure and help them to attract new recruits. Originally the company profile was designed as a way to receive an information stream from the company, but changes in the model now offer more dynamic and powerful features. It is now possible for users to browse company online statistics, including job functions, academic information and complete job specifications. Company profiles have other advantages – they can be indexed by search engines and appear in natural search results. A user that clicks on a link will appear on the company profile page, and if registered, can follow that company. Once you have established a LinkedIn business profile, you need to spread your name about and get found on the network. The best way to accomplish this is to ‘mine’ your existing contacts and try to add new members to your profile. One piece of assistive software that is free and recommended is the LinkedIn Outlook Toolbar. This application is designed to scan your Outlook files importing all your contacts automatically. It is an easy process to install into your Microsoft email client, and run it so that it checks your inboxes and folders for possible LinkedIn connections. You are then given the option to connect with the suggested users. This tool is available to download from the LinkedIn website and is easy to install and operate. As of this moment, it is not possible to use Twitter from a company profile. In order to make use of the Social Media network, you can activate the Twitter connection within your original personal profile and send tweets relating to your company. This helps to inform the wider world of existence, thereby building valuable brand awareness. Recently, LinkedIn added a new feature – Services – to the company profile area. A new ‘services’ tab has been added allowing businesses to promote their products or services by completing a questionnaire for each item with an optional corresponding image uploading facility. These services can be spread and shared with other users connected to your profile. Another form of promotion on the LinkedIn site is the revenue-generating DirectAds, which are paid advertisements or text link advertisements. The model for this is similar to pay-per-click – you choose your words or phrase that you wish to be associated with and the budget for these terms. Once you have established your account, it is worth thinking about how to improve the user experience. Rather than offering a contact form, it may improve the experience if the user can click through to your profile using a company logo or a well placed piece of commentary. It is also great publicity for the company to offer some strategic career opportunities, to attract the legion of job searchers with profiles. Advertising a job position isn’t free but if you’re looking to attract high quality candidates, LinkedIn offers a number of tools to help target your prospects in real-time. Petr works for Po?yczki Gotówkowa and advises on SEO strategy and all forms of social media. I need to check out the Services tab, somehow I missed the boat about that function being added to LinkedIn. Thank you. Its really helpfull, I was ignoring linkedin but now m joining it. You should also mention that you can “follow” a company profile. This is a significant feature. I absolutely agree with you, it’s so important to have a good LinkedIn profile, thanks for the post. I thought that creating a company profile for linkedin will cost you some few bucks, now I know that its free. Good thing that you mention, thanks. : ) This would surely ba a big help to generate more traffic and referrals.